Honda has confirmed highlight of its Geneva Motor show line-up, which includes the unveiling of the all-new Civic Type R in production-ready form. 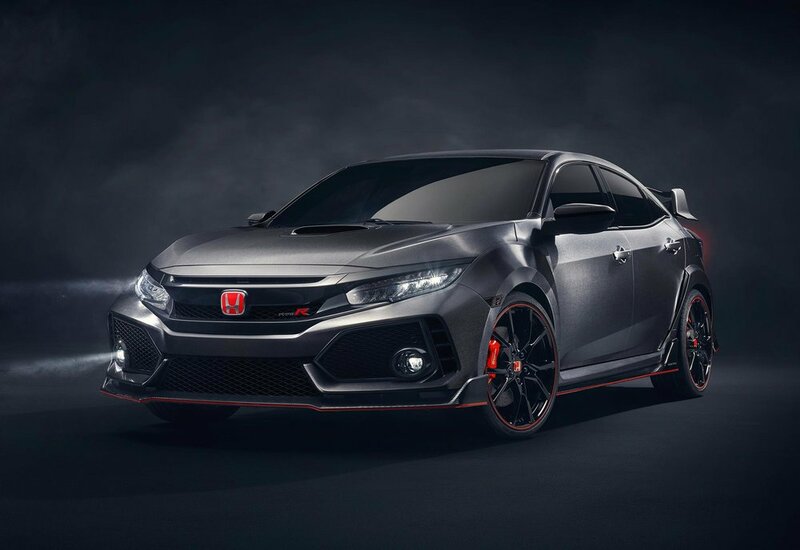 Engineered to deliver the ‘most rewarding drive’ in the hot hatch segment, the Type R was developed in parallel with the new standard Civic hatchback, and will be powered by Honda’s latest 2.0-litre VTEC TURBO petrol engine. Production of the new Civic Type R will start in summer 2017 at Honda of the UK Manufacturing in Swindon, and the car will be exported across Europe and to other markets around the world, including Japan and the US. Its arrival in North America will mark the first time that any Honda-badged Type R has been officially sold there. The Clarity Fuel Cell will also be at the show, following the arrival of the first cars in Europe at the end of last year. The all-new Clarity is described as the world’s most advanced fuel cell vehicle and delivers a class-leading maximum range of 385 miles. The arrival of the new Clarity in Europe as part of the Europe-wide HyFIVE (Hydrogen For Innovative Vehicles) initiative reinforces Honda’s continued efforts to drive increased adoption of fuel cell vehicles and the creation of a viable hydrogen refuelling infrastructure across the region. Receiving its European show debut in Geneva, the Honda NeuV is a fully electric concept car with a unique ownership proposition and a state-of-the-art ‘emotion engine’ that can learn about its driver by detecting the emotions behind their judgments. It can then apply what it has learnt from the driver’s past decisions to make new choices and recommendations. The pure electric concept car explores a financially-beneficial ownership model, by functioning as an automated ride sharing vehicle when the owner is not using the car. It would pick up and drop off customers at local destinations, and could also sell energy back to the electric grid during times of high demand when it‘s sitting idle, further monetising the vehicle’s down time.